Yu Xuan Su is juggling his studies as an undergraduate philosophy student at King’s College London with developing his skills on a horse, thousands of miles from his native Hong Kong. 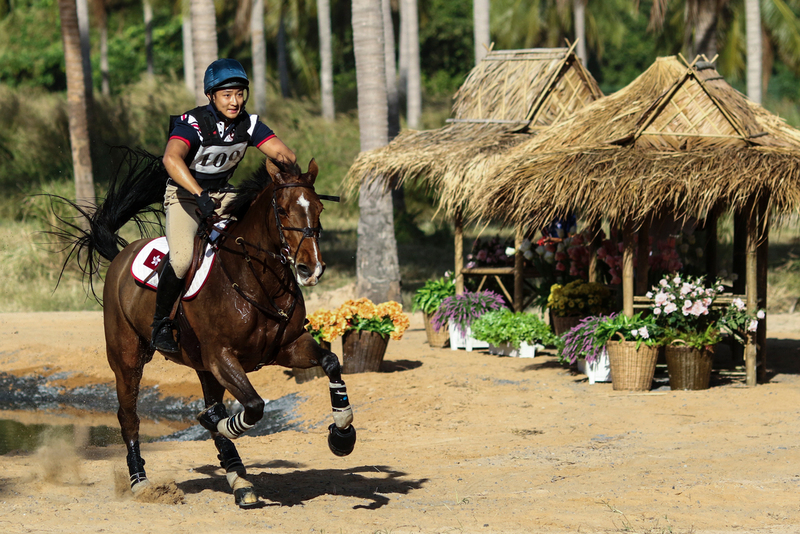 In December, he finished third on a bay mare, Diva De Lux, at the FEI Asian Eventing Championship 2017 in Pattaya, Thailand. "There are plenty of opportunities..."
In terms of advice for those growing up with a love for horses in Hong Kong, he says: “The equestrian community in Hong Kong is relatively small and friendly, so make sure you make the effort to get involved and get to know everyone. “As a junior and young rider, there are plenty of opportunities that can help with your riding and competing, such as seminars and workshops run by the equestrian federation, and junior development programmes. As one of eventing’s up-and-coming stars, he offered us some other top tips on how an individual can perform to his or her potential at a competition. “It’s very important for me to be prepared well before the actual event. If you put in the work at home for the Dressage and Jumping before the event, then you don’t have to treat the warm-up like a schooling session. “That also extends to being as organised and prepared as you can with everything before the event. I find that I get the most stressed when my gear isn’t organised when it’s busy and hectic at the show. “You should have a clear and detailed plan that you can stick to at an event. At a three-day event, where there’s so much time between each phase, you can really focus on each day individually. “I also like to take notes about every obstacle and line whilst I walk the cross-country course, so I can keep looking back at it and visualising it before the actual round. “Finally, don’t neglect your fitness! I personally spend a lot of time in the gym and exercising in general, given that it’s a passion of mine away from riding. “I’ve found that although there may not be a direct carry-over, better muscle control and cardiovascular fitness definitely help with riding and eventing.